This cheery plant grows in most indoor conditions, and easily thrives. Adds great cheer to any home or office. 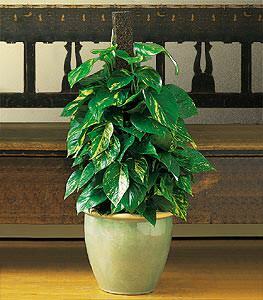 One pothos plant on a pole arrives in a decorative ceramic jardiniere.